Trying to help someone with an addiction can be a long, challenging, and painful process. 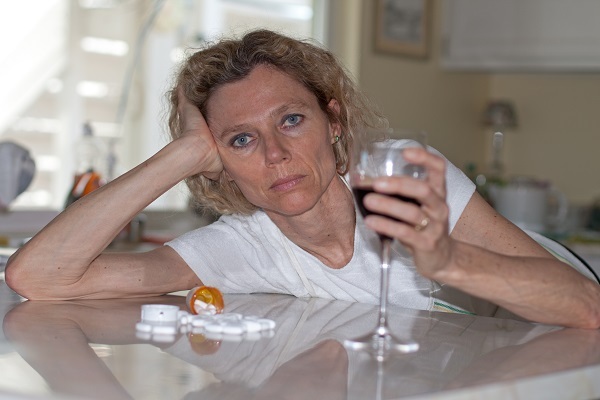 Unlike someone with a physical health condition, such as cancer, a person with an addiction might not recognize the true danger of their illness or understand the risks of not treating it. It's important to remember that they are ultimately responsible for their own recovery. Typically, they must first recognize that they have an addictive disorder. Then, they must be ready and willing to address their addiction before their recovery can even begin. Setting realistic expectations and boundaries can help you provide support, while protecting your own well-being. Talk to them - build and establish trust. Write out a letter that of how you feel and how the addiction effects them, you and others around you. If they will take treatment voluntarily, help them find the best options available. Educate yourself on what is drawing them back to the drug every time. Maybe there are underlying undiagnosed mental illness? Maybe there is a history of sexual abuse that your friend is having a hard time dealing with? Educate yourself so you can properly approach your friend. Stage an intervention - not the show, but the same idea with people who are directly effected by this person's addiction. Therapy is something that every addict should start at some point of their recovery! *Sometimes, the best intervention available is jail time. Report known drug use to the police if you are capable. Stay involved. Support your friend, your family through the good and the bad. Let them know you will be there for them once they are clean. But also learn to stand your ground! Don't give in. Does your friend have an issue with drinking? Don't visit bars, instead, sit in the family section of a restaurant and everyone be alcohol free for the night. Instead of clubbing, go see a movie. Do NOT give in or be an enabler! ...But keep a healthy balance. Do not let your well being suffer. In the end, it's their decision to get help or turn it down. In some cases, the addict may be angry and resentful and require time and ongoing encouragement to recognize that they need to change. This can be particularly hard for friends and family who must stay close to the addict (without rescuing or enabling) even as they self-destruct, if not for the addict's sake then for their own peace of mind that they did all they could. You can't help someone who cannot help themselves! As hard as it is, you must keep trying!